Very Good. Sewn binding. Paper over boards. 160 p. Contains: Illustrations, color. 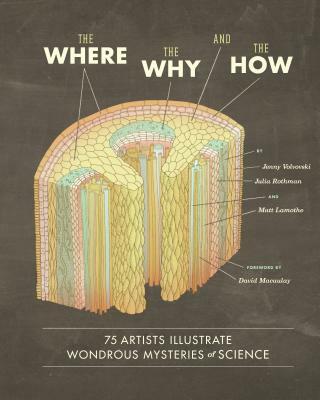 A science book like no other that turns loose 75 of today's hottest artists onto life's vast questions, from how we got here to where we are going. Mysteries of the natural world are explained in essays by real working scientists, and are illustrated by imaginative artists. New. 2012. 1st Edition. Hardcover. A science book like no other that turns loose 75 of today's hottest artists onto life's vast questions, from how we got here to where we are going. Mysteries of the natural world are explained in essays by real working scientists, and are illustrated by imaginative artists. Num Pages: 168 pages, col. Illustrations. BIC Classification: PDZ. Category: (G) General (US: Trade). Dimension: 257 x 210 x 20. Weight in Grams: 806......We ship daily from our Bookshop. New. Sewn binding. Paper over boards. 160 p. Contains: Illustrations, color.